The batteries on the Philae space probe only lasted 60 hours on the surface of the comet known as 67P/Churyumov–Gerasimenko, but I could spend many more hours in a vintage Mercury Comet because they are out of this world. 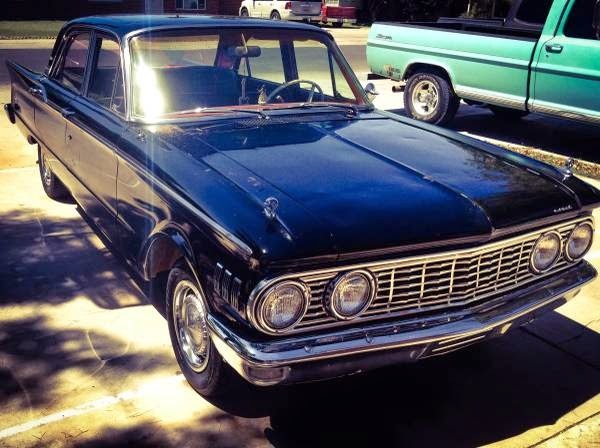 Find this 1961 Mercury Comet here on craigslist, offered for $4,000 in Phoenix, AZ. Tip from FuelTruck. The Mercury Comet was a compact sedan that shared a platform with the Ford Falcon and Mustang, but was equipped with luxury features. This 4-door version is powered by a 144 cubic inch inline-6 that is equipped with a single barrel carburetor and rated at 85 horsepower. It is going to be slow, but sweet. My brother had a '61 Comet wagon. Slow. I got pulled over for going too slow on I-10 east of LA. The Comet had bogged down on a very gradual uphill. There's a long, long list of permutations of these early Falcon/Fairlane-chassis cars. The early Mustangs are of course the ones that attracted all the attention, and the '66-70 Falcon is probably the best structurally (all the improved front-structure beef of the '66 Fairlane/Comet and a big-block-sized engine hole but 5in shorter ergo more rigid), but I think my favorite is the '64 Fairlane. The Comet is basically a Fairlane, but the cats-eye taillights were never my favorite. But, hey, if it IS your preference it'll swallow an 8in or 9in rear and any smaller Windsor, and most of the front suspension and steering pieces that the aftermarket's cranked out for the Mustang. I agree with you about the 64 Fairlane. My dad bought one used (after his one and only dalliance with the General). 260 cu in V-8, and just a nice car to ride in. He eventually traded it in 1969 for the only brand-new car he ever owned, a Torino four-door with a 302 and no power anything. As I remember it, they gave him a trade-in allowance of $922 for the Fairlane, against a $3760 purchase price for the Torino. He kept that Torino for 16 years, but only accumulated 25,000 miles. By then, he was much older, and his "power steering is for sissies" decision in 1969 had caught up with him. I found him a nice used 1980 Fairmont with PS and PB. He drove that for almost 20 years, until he decided he had had enough of driving, at 90 years old. Sorry, I am rambling, but I guess I have had exposure to a lot of this lineage of simple Ford sedans, and I still like 'em. I remember going to the White Spot drive in for burgers when I was about 5 years old in my grandparents 62 Comet (different tail lights but rest of car looks similar) I remember the excitement when the burgers finally arrived via the "car hop". The car had vacuum powered windshield wipers and when we went up a really big long hill the wipers would almost stop due to very low vacuum when at wide open throttle. And believe me the 85 hp engine had its throttle wide open to make it up the hill. Good times when you are 5! I had many adventures in my 1964 Caliente and it was a great car. Mine looked exactly like this one, except it was chocolate brown. 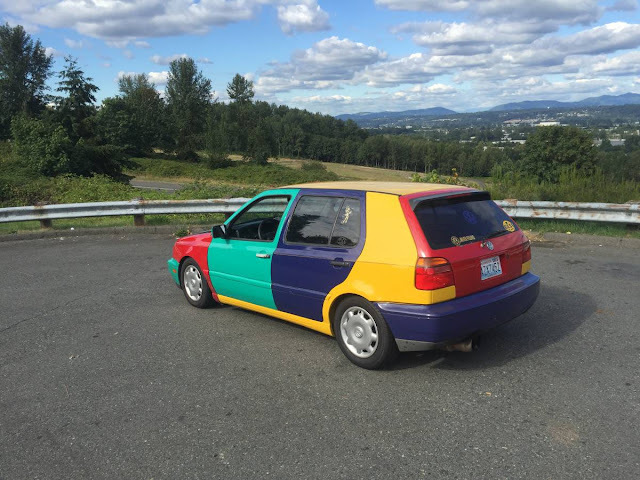 Mine had a tan interior with a bench front seat.